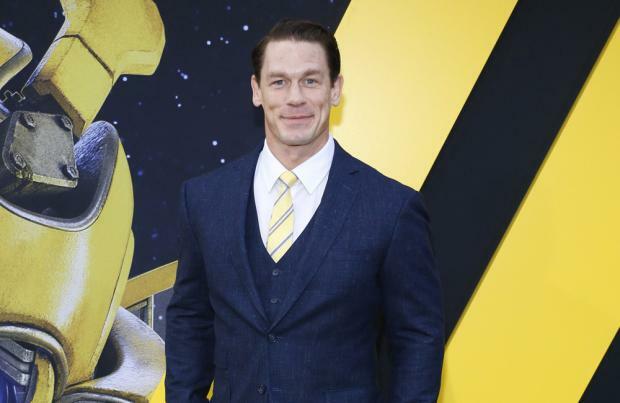 'Bumblebee' star John Cena says the reaction to the 'Transformers' prequel has been "extraordinarily special"
John Cena says the reaction to 'Bumblebee' has been "extraordinarily special". The 41-year-old actor – who stars as evil government Sector 7 agent Jack Burns tasked with capturing the giant robots in disguise in the 'Transformers' spin-off prequel – was in fantastic spirits and praised director Travis Knight's "vision" after watching the movie at the world premiere in Los Angeles on Sunday night (09.12.18). He tweeted after the event: "He's real! Amazing time watching #BumblebeeMovie at the world premiere @ChineseTheatres in LA. "Seeing Travis' vision, @HaileeSteinfeld and Jorge's performances and most importantly the audience's reaction was extraordinarily special. "Excited for you to see ['Bumblebee'] this holiday season!" Steinfeld and Jorge Lendeborg Jr – who played Charlie Watson and her coworker Memo respectively – were also at the star-studded screening this weekend. Cena – who has appeared in comedies like 'Blockers' and 'Daddy's Home 2' – was thrilled to get the chance to join such a massive blockbuster franchise. He recently told BANG Showbiz: "Being part of a franchise is great, and being in a group that gets to change the face of it, I think that's pretty fun." The WWE superstar – who is currently taking a break from wrestling to focus on his Hollywood career – also added that he plans to make his return before 'WrestleMania 35' in April. He said: "First of all, let's get 'Bumblebee' out on Christmas Eve (24.12.18) and after that I'm returning to WWE for some live events which I'm very excited about." Meanwhile, his co-star Steinfeld was delighted to be part of the cast, but she found it tough to choose a standout moment from the shoot. She previously added: "Well, I don't know if I could pick a favorite part but it was one of my favorite experiences of working on a film. "There was never a dull moment. Obviously this film is packed with so much action and so much emotion, it was a ride. The whole thing was a ride."